Use Zendesk Time Tracking? Sync it back to NetSuite on our Enterprise plans! Zendesk to NetSuite time tracking. Zendesk Time Tracking Software (Get it here!) must be installed in Zendesk. To enable Time Tracking in your integration just check the feature in Step 1. If this option is checked SyncApps will sync time tracking information from Zendesk to NetSuite time tracking. Next, enter the NetSuite Service Item in Step 3 of this integration to sync back time tracking for it. Please note that Zendesk Time Tracking software must be installed in Zendesk. Download it here if you have not already into Zendesk. 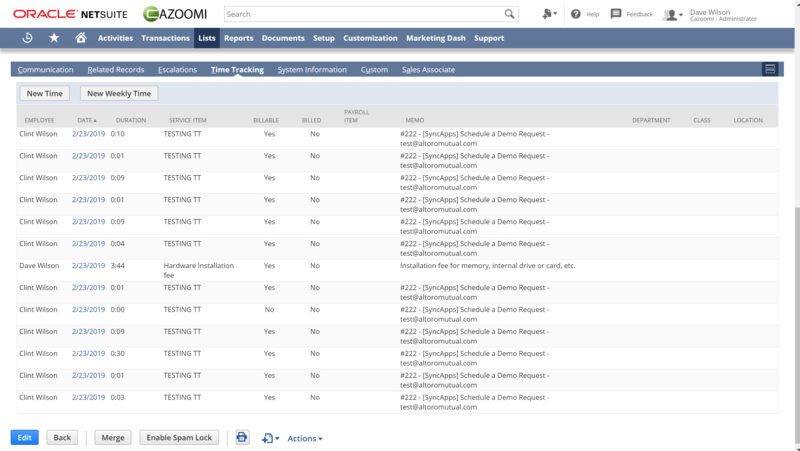 Lastly, check NetSuite for each case that is using Time Tracking to see the results. If you want a live demo please reach out to our integration experts today. What does this error mean (Error code: INVALID_SEARCH_MORE)? That error means there is another application doing a search while SyncApps is in the middle of getting a search result. The next sync should be fine if there is no interruption. Do you have other integration/application connect to your NetSuite other than SyncApps? If so be sure and schedule your sync to run at another time to not interfere with other search occurring in NetSuite. Sync Modes for the Zendesk for NetSuite Integration can be found at Step 1 of your Sync Profile. The Sync Mode option cannot be changed once selected. Please note that using two active Sync Profiles with different Sync Integration Modes could cause data synchronization problems. The Zendesk Ticket is synced to NetSuite Case and updates from Zendesk Ticket will always be synced to NetSuite Case. NetSuite Contacts or Customers can be synced to Zendesk User. NetSuite Case is synced to Zendesk Ticket and updates from NetSuite Case will always be synced to Zendesk Ticket. NetSuite Contacts or Customers can be synced to Zendesk User. Sync Zendesk Ticket to NetSuite Case only if NetSuite Case does not exist. Sync NetSuite Case update to Zendesk Ticket. Sync Zendesk Ticket to NetSuite Case. A NetSuite Case is created in NetSuite if the Case does not exist at the time of sync. Any updates in NetSuite Case are synced back to Zendesk Ticket. Update to Zendesk fields is not synced to NetSuite Case fields. Syncs comments bi-bidirectionally. NetSuite Contacts or Customers can be synced to Zendesk User. This mode is for a scenario where Zendesk is used to receive support endpoint, NetSuite cases are created on every Zendesk ticket then support person works in NetSuite and updates NetSuite Status. Status in NetSuite will then be updated to Zendesk ticket. Do not sync Zendesk tickets. Please check with the Cazoomi support team today to see which integration mode is best for your business. Note: Still using Username and Password for your Authentication in NetSuite (Step 2 of the Sync Profile)? Switch to Token Based Authentication now and have an enhanced integration experience today! See the guide here. 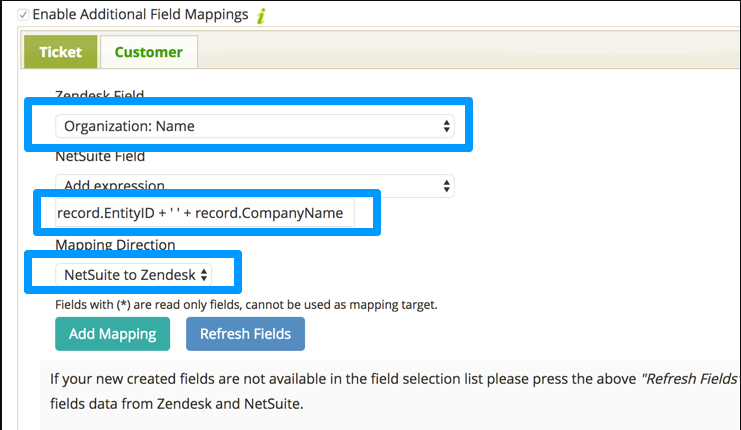 NetSuite Customer record fields to Zendesk Organisation fields? Hi there! Welcome to Cazoomi Support. If you're here then you are probably having a bit of trouble with NetSuite Customer record fields. Don't worry as we are here for you. Below is a use case you can follow through to solve the snag you're on. I’m just trying to confirm if there’s any way to sync information from NetSuite Customer record fields to Zendesk Organisation fields? I’ve been able to set up syncing from NetSuite Customer record fields to Zendesk User fields only at this stage. The syncing options in SyncApps allow for Ticket and Customer. The Customer fields relate only to the Zendesk User fields. Is there any way to change this / a workaround available? 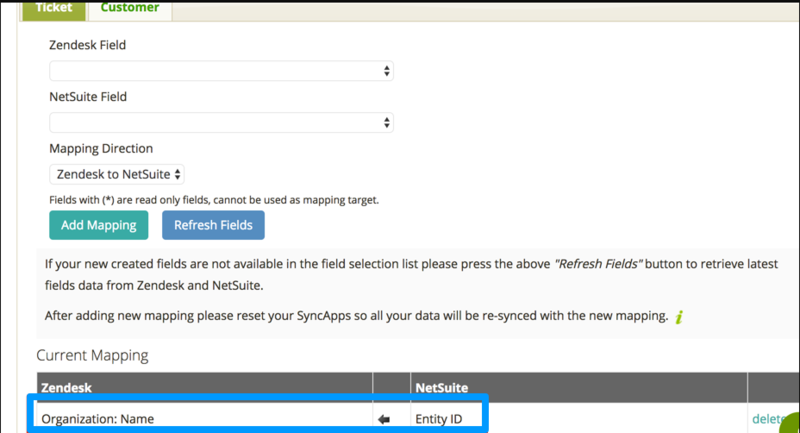 Or will SyncApps only ever sync NetSuite Customer info to the Zendesk User fields? Absolutely, please email our 24/7 Support Team to turn on this customization in your SyncApps Account. We can enable a cool feature called "Allow Zendesk Organization fields mapping" customization for your account. Once enabled please Refresh fields in the field mapping page in Step 5 of your integration. Remove any NetSuite Customer Saved Search in Step 1 of your configuration, if you have one currently, as SyncApps will use NetSuite Contact Saved Search to correlate the NetSuite Contact's Customer to Zendesk Organization. Running into an error in this step in edit mode in your Sync Profile in Field Mapping? If you get an error like below then please add 'Custom Event Fields' permission to your NetSuite record to get around this hurdle. If you encounter any snags, please reach out to our 24/7 Support team. We'd love to help you out. Check out some best practices on how to sync NetSuite Companies to Zendesk Organizations. 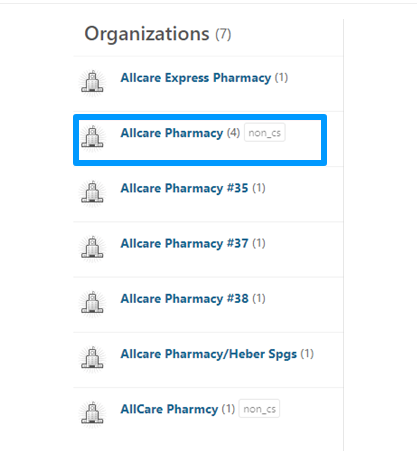 NetSuite companies that have the same name (like Allcare Pharmacy) are synced as one organization in ZenDesk. Note there are 4 Allcare Pharmacy and one AllCare Pharmacy (with uppercase C) in NetSuite. Note that Allcare Pharmacy has 4 contacts, these are the 4 contacts for the 4 NetSuite companies synced to one ZenDesk Organization. For Zendesk Organization sync currently, we integrate only by company name. The problem is company name in NetSuite is not unique (the customer id is unique). Or do you want to use Customer ID (like 106127 AllCare Pharmacy) instead of name to be used as organization name in Zendesk? Customer ID (like 106127 AllCare Pharmacy) would work perfectly, thank you. I was trying to figure out how to do that. The problem with the company name is that is the name the company owners give it, not us. We can't go changing their company names. There’s an option to sync NetSuite customer Entity ID as ZD organization name. To use NetSuite EntityID instead of company name you need to map "EntityID" to "Organization: Name". We have also enabled expression mapping feature (Please let our support team know so that they may enable this feature) that can be used for combining fields, in your case EntityID and company name. Please map the following expression to Organization name (see screenshot). Note: Still using Username and Password for your Authentication in NetSuite (Step 2 of the Sync Profile)?